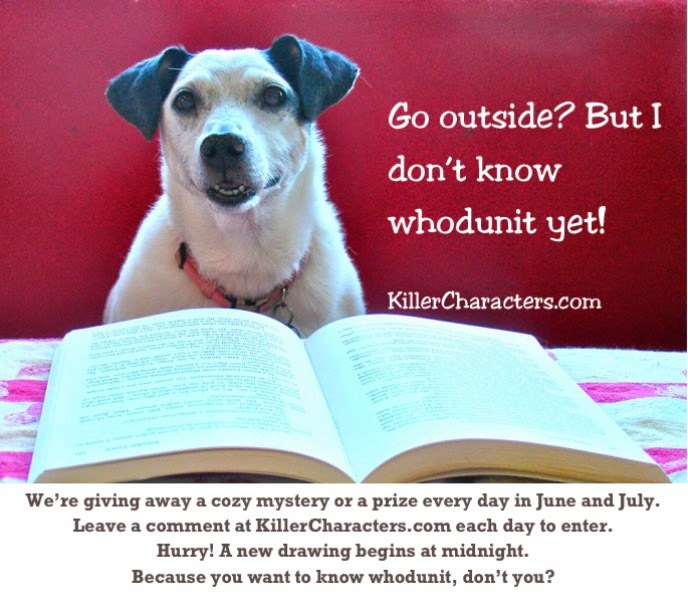 Killer Characters: Don't Mess with Mom! Am I doing this right? I've never blogged before. I think they want me to talk about why I'm in The Diva Wraps It Up. I don't really like to talk about my problems, you know? I'm the kind of person who just suffers silently. Zips it up and moves on. Okay, here goes. So, um, a few years ago, Gwen came into my life. Well, she came into my husband Baxter's life first and consequently proceeded to ruin my life. You know where I'm going with this, right? Divorce. And worse, they got the kids. My kids. Baxter's and mine, to be precise. It was as bad as things could get for me. I moved back home with my mom and tried to keep a stiff upper lip. After all, I had visitation, not that that was enough. But Gwen knew I couldn't afford an attorney, much less a high-powered one like they had, so she started jerking me around. The kids couldn't come to visit. Not even for Christmas! How cruel and unreasonable is that? It says right there in the papers that this is my year to have them for Christmas. And then she sent out a Christmas letter that about sent me through the roof. She said Bethany had to be homeschooled because she needs to move at a faster pace than her school can provide and that Bradley is in college level courses! Now I love my children more than anything in the world but I know them better than anyone, too, and I know perfectly well that they're slackers like me. So I got in my car and drove straight through the night to see what was up. And you know what? I have come to some conclusions. I'm not going to be pushed around anymore. I'm not going to miss out on my children's lives anymore. No siree. Patty is in town and things are going to change! Click here to sign up for Krista Davis's newsletters. Be the first to know what's coming next! 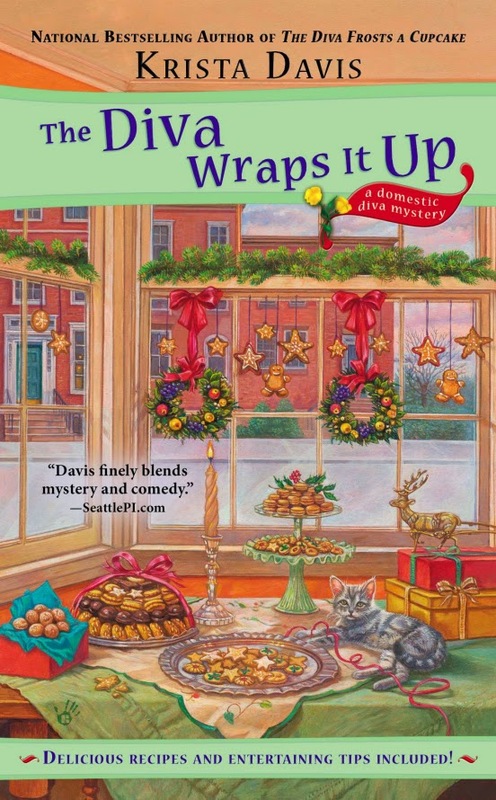 Win a copy of The Diva Wraps It Up! One lucky person who leaves a comment here before midnight will win a signed copy. Good luck and be sure to leave an email address in your comment so Krista can contact you! I so love the blurb. I can think of quite a few women friends who would like to give the other woman her comeuppance. The husband, well she is better off without him, but to take the kids and keep them from her, someone is going to regret that decision soon enough. Can't wait to see what happens with this!! Sounds intriguing. Can't wait to read it. I love this series. I am reading this book now and can't put it down! Woo hoo! Go get 'em, Patty! Starting this series soon. Can't wait! This is one of my favorite series. I can't wait to read the series. Sounds like a great book to put on reading list. Haven't read this series yet but would love to win this book to get started. This series sounds like a fun one. I some how I get the feeling Gwen gets hers. I just love the Diva series. It sounds like Patty is going to shake things up, and take charge of her life. I think most women can relate to this, myself included. Whoa, Patty. Just be careful there. It's not right that the ex and new wife are keeping the kids from you, but don't go jumping from the skillet into the fire. I'm a few books behind in this wonderful series. Looking forward to catching up. So nice of you to do the Giveaway. Just wanted to let Krista know I really enjoyed my latest visit with Sophie, and the series. Please don't include me in the drawing, as I pre-ordered, and already received, and read this wonderful book. It was so much fun, I am going to recommend it for my book club around Christmas. Good luck all, and great reading! This series is one of my favorites! Thank you for a chance to win this newest addition. I so agree with the dog! LOL!! Congratulations Krista! I want to see how Patty handles this!! Poor Patty. I'd like to see what happens next. Love the Diva Mysteries! Can't wait to read this one, as cozies & Christmas just go together so well! Another winner to add to my TBR pile. I just finished The Diva Frosts a cupcake and loved it. I didn't realize this was the eighth book in the series. I haven't read any of the books before, but Patti sounds like an interesting character. Oooo... can't wait to read this one! oh my!!! I so want to read this! whether I win or not, I'm getting this book, and hopefully the series! Wish my brother could have me you, Patty, when his ex was pulling some of the same 'stuff' with him. He really needed help then! I wish my brother would have known you Patty when his ex was pulling some of this same 'stuff'!! !